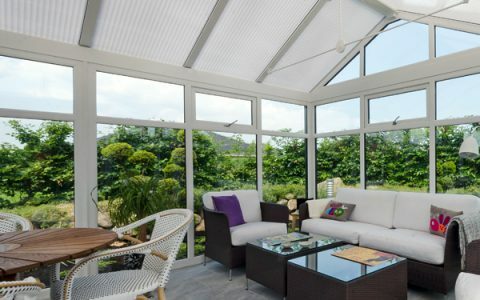 The ultimate in design and use of space in an inspiring garden building created using the most popular conservatory designs. 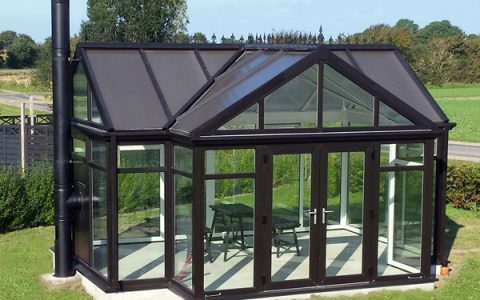 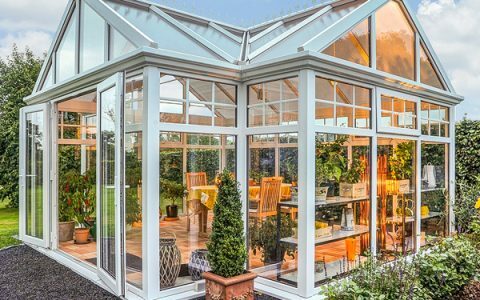 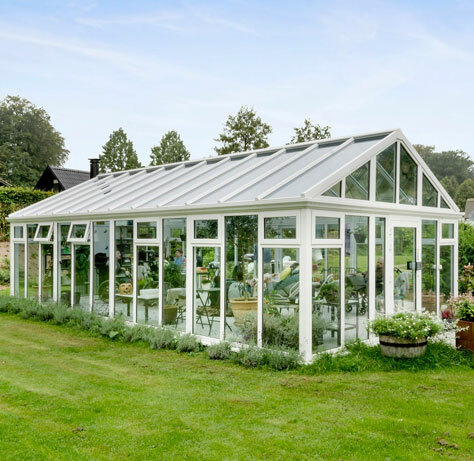 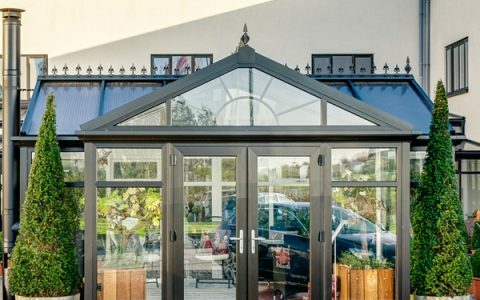 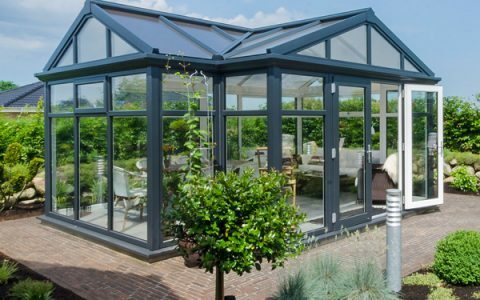 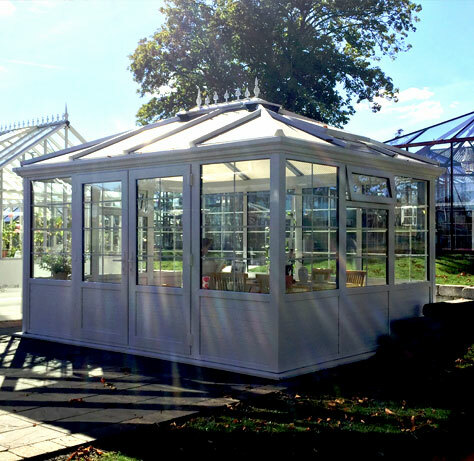 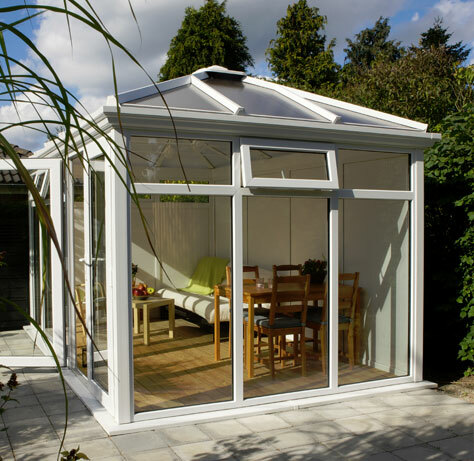 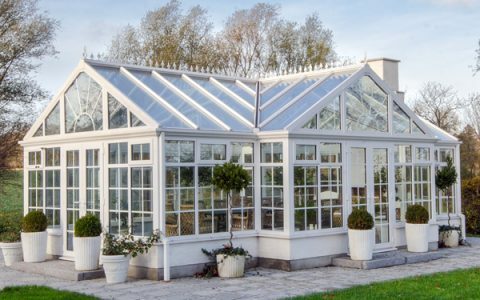 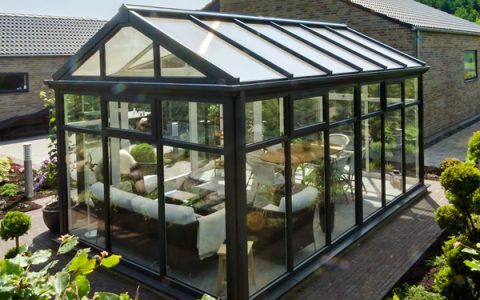 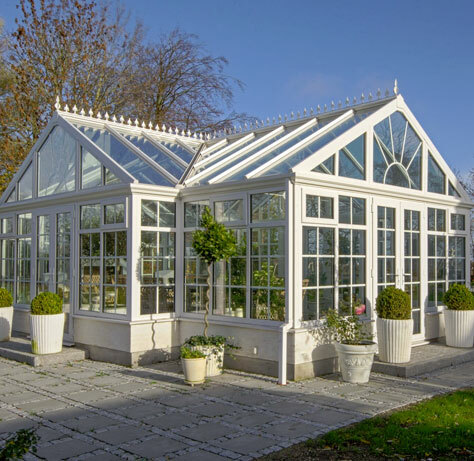 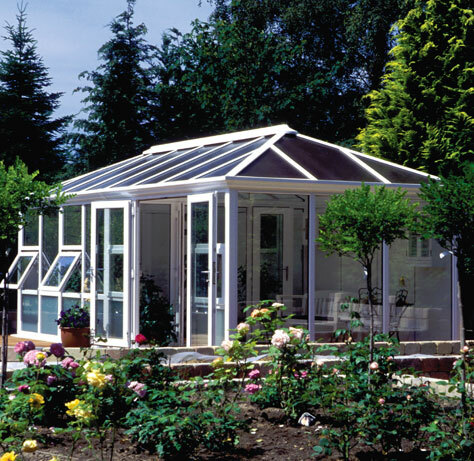 The classic T shaped Oxfordshire Orangerie is a stunning building that creates a light and airy garden room with maximum usable internal space. 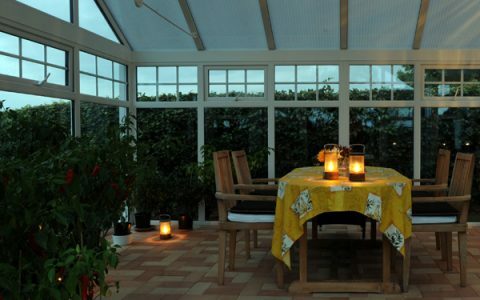 The Oxfordshire Orangerie is a popular choice when adding a feature wood burner, this is extremely popular across Scandinavia when ensuring that even in the darkest coldest of winter nights, the flickering light and gentle heat of the wood burner creates a beautiful atmosphere when entertaining friends and family. 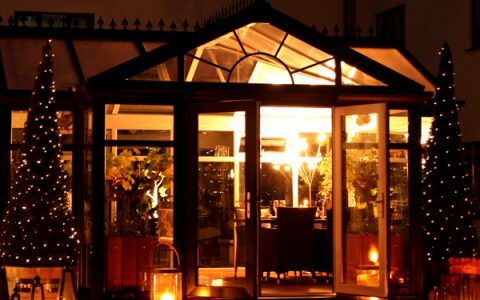 Comfy seating, the unmistakable aroma of a wood burner, a hot drink, a blanket and looking up into a stunning starry sky, you are now experiencing the real feeling of Hygge. 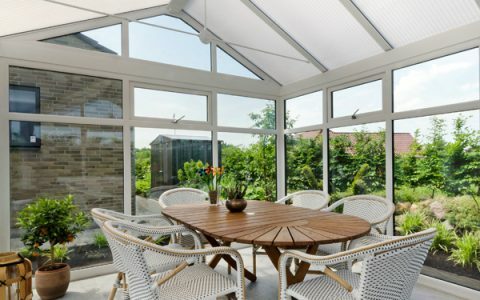 Synonymous with architecture, education and picturesque Cotswold villages, Oxfordshires land has been hugely important across the ages, from agricultural to just beautiful countryside landscape. 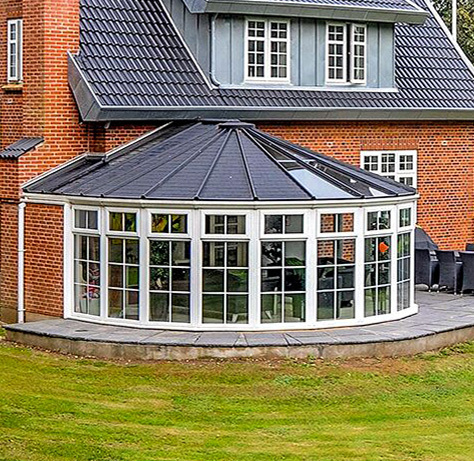 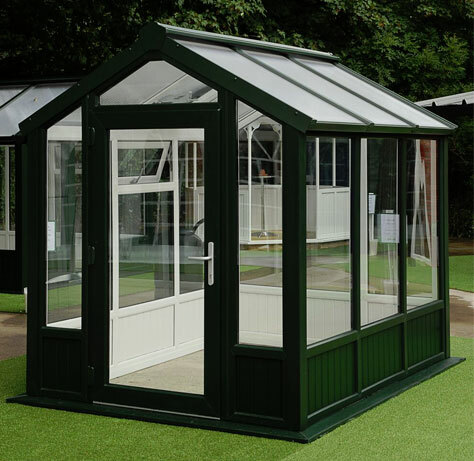 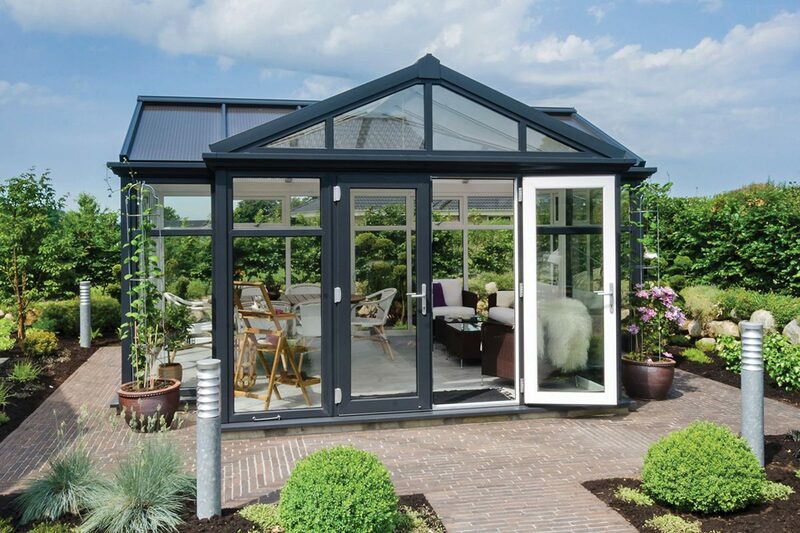 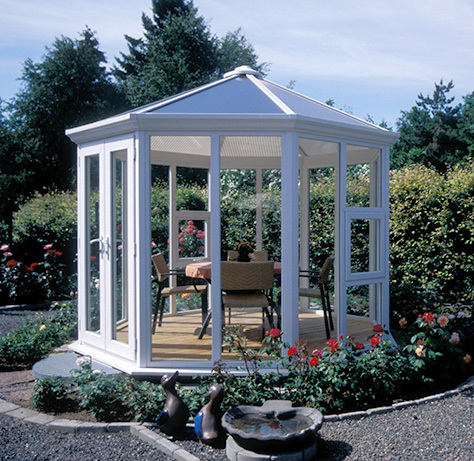 The Oxfordshire Orangerie continues to be one of the most popular models from the Nordic Garden Buildings range. 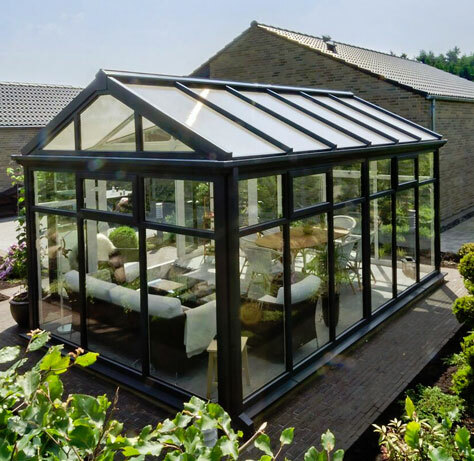 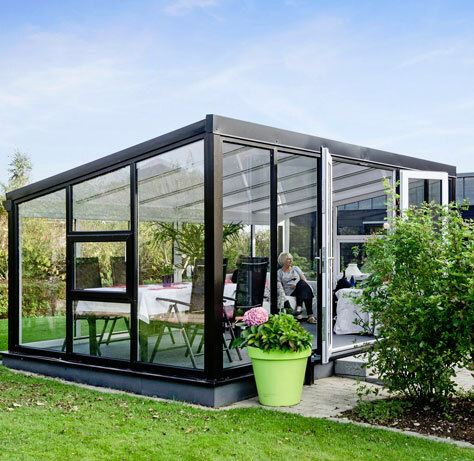 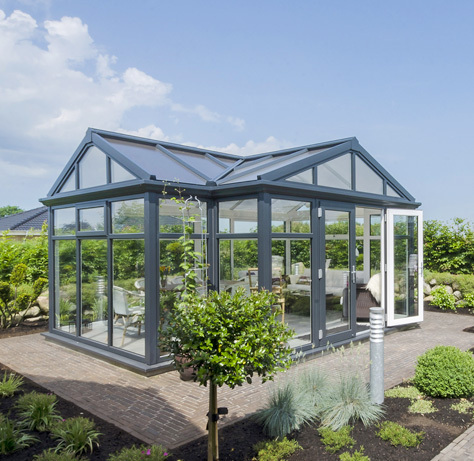 A stunning T shaped Orangerie gives not only extensive 360 degree views but also a huge amount of living space, so whether you are living, working, relaxing or growing. 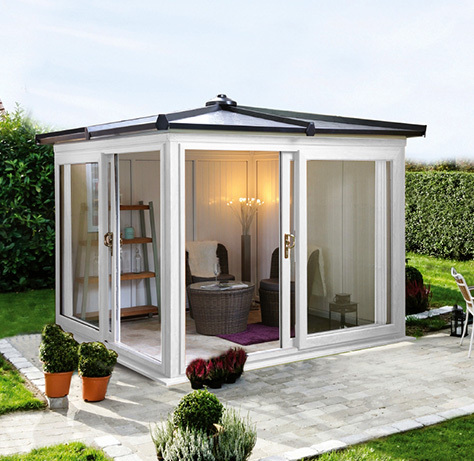 The Oxfordshire can help you realise that dream of adding a new room to your home and garden. 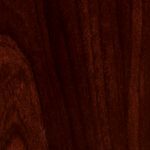 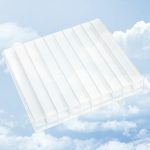 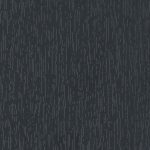 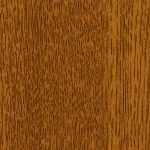 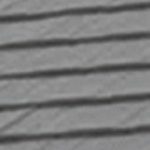 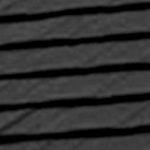 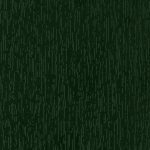 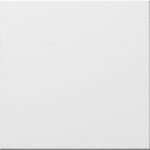 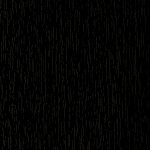 You are currently viewing Small (161 sq ft / 15sqm). 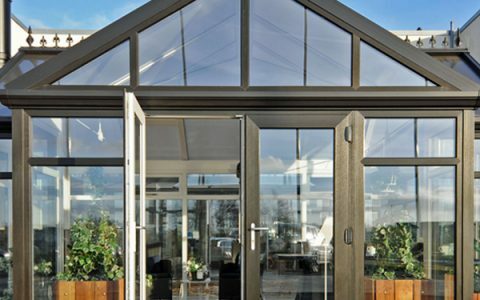 Interested in our Oxfordshire Small (OXF-PB) building? 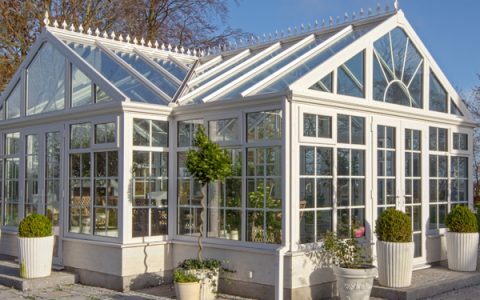 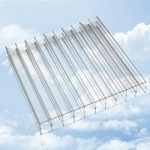 We have stockists across the UK and Europe.